Hello Wayfarer van fans, my name is Karen and I live in New Hampshire with my rescue companion and van co-pilot, Stella. 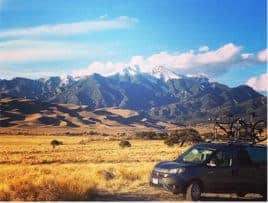 My Wayfarer van adventure started in July 2018, but it has been a dream in the making as long as I can remember. For 37 years, my job in IT management and my too-short vacations took me to many places and created opportunities to experience new destinations. While I mostly traveled by air, each trip fueled my passion for traveling, and I would often dream of the day I would own an RV and travel whenever and wherever I wanted to go. But the demands of corporate life made it difficult to pursue this dream of mine, so I put it on hold. That’s why when I retired in 2017, I set out to turn my dream into reality. I began researching online, looking at different RVs and cargo vans. 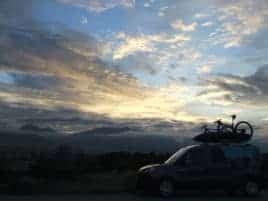 I knew I wanted a small, mobile house, but I also wanted the vehicle to be useful even when I wasn’t camping – in other words, I wanted the best of both worlds. I fell in love with the Mercedes model and several of the fully-equipped RVs were impressive, but I couldn’t justify the cost, so I kept looking. On a random YouTube search, I came across Ian and his company. I remember sitting there mesmerized as he swapped Wayfarer modules to create tailored, mobile-living spaces on wheels that were tremendously more affordable than pre-outfitted vehicles. After many emails and phone calls with Ian, I knew this was the best option to design the perfect RV for me. I redirected my search and quickly found a brand new silver ProMaster right in my backyard. I bought the van in June 2018 and, coincidentally, Ian was hosting his first Wayfarer Weekend that July. I called my daughter Cara in Toronto and asked her to do the road trip with me, and together we set out for Colorado Springs. 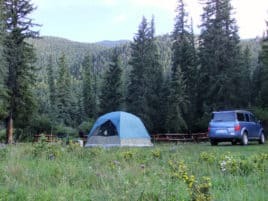 We tent camped along the way and, while I admit, it’s not my favorite lodging set up, I enjoyed the time with my daughter who is an experienced tent camper and has taught me how to set up a tent, cook on a camp stove and properly store food to avoid critter encounters. After several days on the road, we arrived at Ian’s shop in Colorado Springs! That weekend I gave Ian my keys and he got to work transforming my ProMaster into a “Walter,” which I now affectionately refer to as “Maxine.” If you haven’t met Ian, he is one of the nicest and most helpful guys you will ever meet. In fact, while his team worked on my vehicle, he let us borrow his personal van to drive around Colorado Springs. When’s the last time someone has been that nice to you? After just a few hours in the shop, my small house on wheels was done. Beyond ecstatic, Cara and I set out to try our newest family addition. At Wayfarer Weekend, I had the chance to meet several other van fans who quickly became friends. It was great to see many women and men in my shoes sharing stories about their van adventures. I thought that if they could do it, I could do it too. From start to end, we were on the road almost four weeks, and we clocked nearly 6,000 miles. While that entire trip was beyond amazing, our favorite experience was the Lee G. Simmons Conservation Park and Wildlife Safari just outside of Eugene Mahoney State Park in Nebraska (a recommended stop from Rich whom we met at Wayfarer Weekend—thanks Rich!). We drove Maxine alongside bison, elk, buffalo and many other animals freely roaming the grounds. If you’ve never been, add it to your must-visit list. 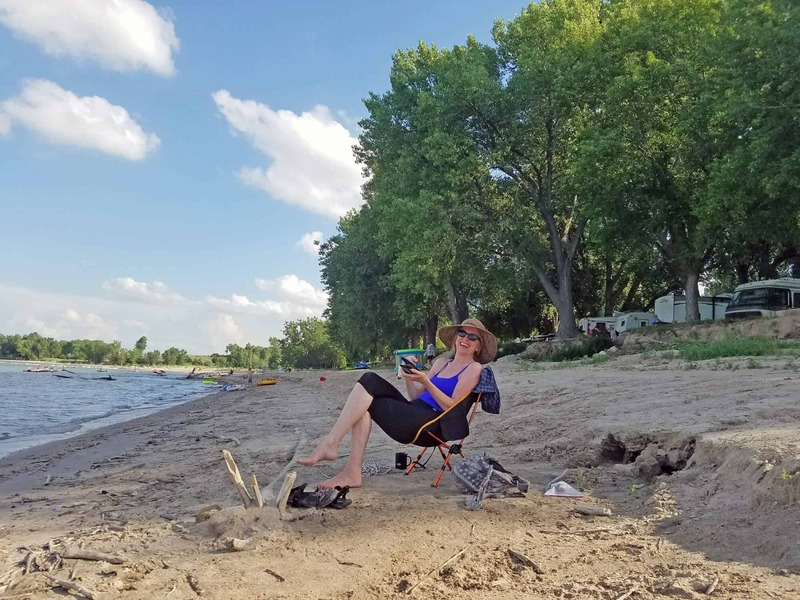 Since then, Maxine has taken us to destinations like Chicago, Ohio, Nebraska, Toronto, Niagara Falls, Montreal and my sister’s cottage in Maine – to highlight a few stops. Cara and I are planning a trip to Ontario and a summer trip to Prince Edward Island, but I hope to get some local weekend trips done between now and then to places like the White Mountains in New Hampshire. Cargo van meets RV. Since all the Wayfarer modules are removable, I can easily swap out components to use Maxine as a cargo van to haul things as needed. Since everything is relatively lightweight—I believe the heaviest item is the bed, which is only 30lbs—I can remove or put things back all by myself. Travel on my time. I enjoy driving, but I love it even more when I don’t have to stick to a specific timeline. With Maxine, I can drive as far as I want, stop and nap, and then keep going if I want or hunker down for the night. It’s all about my timetable. Lucky for me, Stella loves naps too! Trying new things. Sometimes when we get a little older we also get a little more timid to try new things. I recently bought inflatable stand-up paddle boards that I packed into Maxine. This summer, we went river SUP boarding with my daughter for the first time in my life and loved it! We are planning more SUP outings, and I relish the idea of trying new experiences. Waking up at Walmart. While I haven’t done this yet, I will spend an evening in a Walmart parking lot one day because what RV traveler hasn’t?! It’s not a goal per se, it’s more that it’s something I can actually do because I’m traveling in a Wayfarer van. I can literally park anywhere and sleep comfortably and soundly, even in a Walmart parking lot. Being a retired independent person. I’ve always been a pretty independent person, but Maxine has inspired me to be even more independent, self-sufficient and brave. This all starts with being prepared. I am looking into various classes to learn how to survive in the wild, be safe outdoors and learn basic automotive repair so I can be as confident and prepared as possible when I’m traveling. So there you have it. I’m retired. I am the proud owner of a Walter (now named Maxine), and I’m finally living life the way I dreamt more than 40 years ago. I hope your Wayfarer van takes you to new experiences and fills your heart with a passion for life, people and adventure. Until we meet on the road or at Ian’s second Wayfarer Weekend, safe travels!